The story of Sixto Rodriguez as depicted in the Academy Award-winning 2012 documentarySearching for Sugar Man was one that intrigued the world. The plot centred around Rodriguez, a musician based out of Detroit in the ’60s and ’70s, who was never able to gain traction in the United States despite numerous industry professionals comparing his songwriting chops to those of Bob Dylan — but perhaps even better. But more than a story about a musician who somehow sadly flew so far under the radar, the film — and now the book, Sugar Man: The Life, Death and Resurrection of Sixto Rodriguez — are about a man who unknowingly became the soundtrack for a revolution half a world away. His first album, Cold Fact, became immensely popular in South Africa during the time of apartheid, unbeknownst to the singer himself. The film follows two South African men as they search for Rodriguez (the name Sugar Man references a line in one of his songs), who was presumed to be dead. Once they discover he’s alive and well and living in Detroit, they take him to South Africa to perform for thousands of fans and to give him a taste of the life he should have had. 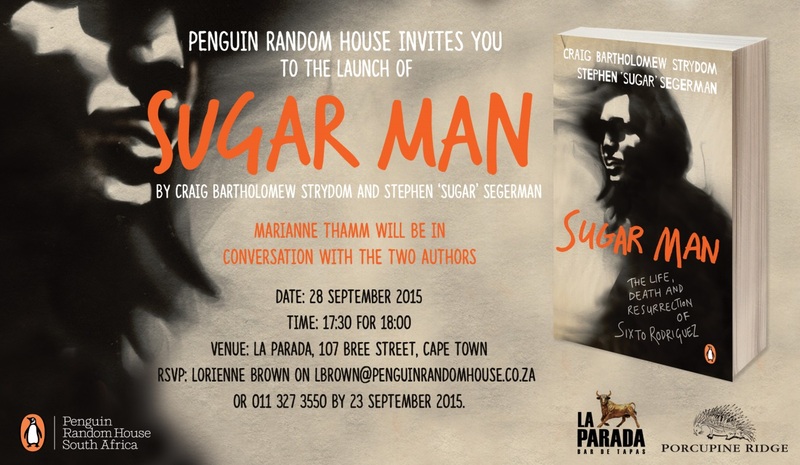 Written by Craig Bartholomew Strydom and Stephen (Sugar) Segerman, two men who play a large role in the film, Sugar Man is an exhaustively detailed account of all that happened before, during and after the time frame covered in the film. Segerman’s first encounter with a Rodriguez song while doing his mandatory time in the army, Rodriguez’s multiple stints in local politics, the eventual suicide of director Malik Bendajelloul not long after the film won an Academy Award — every conversation, every email, Sugar Man covers it all. The book is broken up into four sections — the mystery, the man, the music and the movie — which is very helpful given the amount of voices and storylines that weave together to create the narrative picture as a whole. On occasion, however, all the details and historic references do become overwhelming, and are not always necessary in order to move the story forward. In certain instances, it feels more productive to skim over those parts instead of reading word for word. The most interesting tidbits are those excluded from the film (or that hadn’t happened until after the film was made), namely the fact that after his initial shows in South Africa, Rodriguez toured the country several more times in the early and mid-2000s with varying success, and the surprising falling out between Segerman and Rodriguez spurred by Segerman’s move into a more managerial role. For those who loved the documentary, Sugar Man: The Life, Death and Resurrection of Sixto Rodriguez is an excellent companion piece that bookends the film beautifully, answering any and all questions one may have about the lives of all those involved, both pre- and post-documentary. In the prologue of the book, Strydom and Segerman say the film was “the search for the man who didn’t know he was lost.” This book proves to be the rest of the story we didn’t know we were missing. Erin Lebar is a multimedia producer at the Free Press. Malik Bendjelloul, the Swedish director of ‘Searching for Sugar Man’, has committed suicide aged 36. It’s just over a year since the documentary about folk musician Rodriguez won Bendjelloul an Oscar and captured the hearts of viewers all over the world. REBECCA DAVIS spoke to Bendjelloul’s subject and friend, Cape Town record-store owner Stephen ‘Sugar’ Segerman. 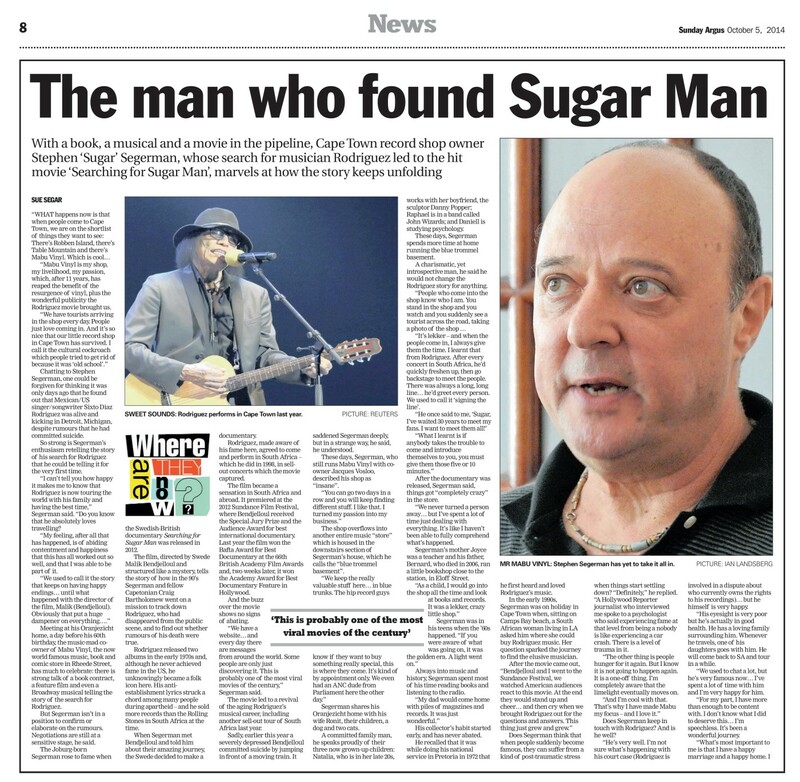 The last time I interviewed Stephen Segerman in his den in Oranjezicht, it was July 2012, just prior to the official release of Searching for Sugar Manin South Africa. At that time Segerman gave the impression of a man both bemused and exhilarated by the success of the film, in which he features prominently as one of two South Africans who made it their mission to track down Rodriguez. Shortly before the interview, he’d been to the Sundance Film Festival with Bendjelloul and Rodriguez, where the film received a standing ovation. “It was just a magical night,” he told me at the time. Almost two years later, the fairytale seemed even rosier. 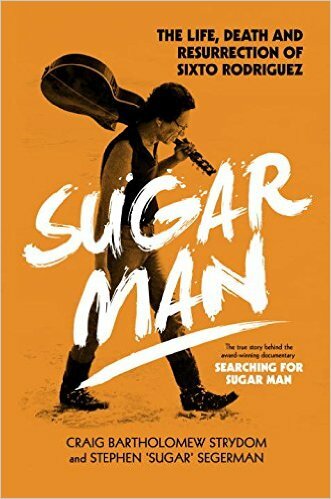 Searching for Sugar Man won the Best Documentary Oscar at the 2013 Academy Awards. Rodriguez, who languished in obscurity for years, today has fame and fortune locked down. It was the ultimate feel-good story. And then, on Tuesday, shocking news broke: Bendjelloul, aged just 36, was dead. Malik Bendjelloul was a teen actor in his native Sweden, starring in a show which Segerman describes as the Swedish version of America’s Family Ties. As an adult he worked as a TV reporter for Sweden’s public broadcaster, specialising in making short films about visiting rockstars. Then he left to travel the world, looking for richer stories. Segerman first heard from Bendjelloul in late 2006, when he emailed the record-store owner to say that he was coming to Cape Town, and asked if they could meet. He had learnt about Segerman’s involvement in the Rodriguez tale through a piece in the Guardian, and wanted to hear more. For his part, Segerman instantly warmed to the lanky Swede. “He just had such a lovely energy: tall, bright-eyed…He reminded me of Tintin,” he says. Segerman took him up Table Mountain and Bendjelloul filmed a short sequence of Segerman telling the story of the hunt for Rodriguez. Then he disappeared off to Sweden, and Segerman didn’t hear from him for six months. At that point, Bendjelloul emailed to say: that’s the story we like in Sweden. Bendjelloul returned to Cape Town and shot a one-minute trailer in Segerman’s den. He took it to the Sheffield Documentary Festival, where aspirant filmmakers pitch their stories. Bendjelloul won. A full-length documentary was on the cards. Photo: Stephen Segerman, cinematographer Camilla Skagerström, and filmmaker Malik Bendjelloul, pictured in Segerman’s den in Cape Town. In Detroit, there was the tricky business of persuading the reclusive Rodriguez to feature in the film at all. Bendjelloul worked his way in by meeting the musician’s family members one by one. He got his way eventually through sheer charm, Segerman says. Even so, filming Rodriguez had certain unique challenges. There’s a scene in the film where Rodriguez is fiddling with a video microphone while he talks. It still had to be used: there was no question of a do-over. For over a year, Bendjelloul sat in his flat in Stockholm making the film. People promised funding and backed out. He ran out of money for animation, so he had to do the animation work himself. It’s the stuff of legends now that some scenes in the documentary had to be filmed using a $1 Super-8 iPhone app. But the film’s sheer heart – and the incredible story it told – more than compensated for its technical weaknesses. Some suggested that the story was a little too incredible – that Bendjelloul had conveniently omitted aspects of the Rodriguez narrative that didn’t easily fit within the rags-to-riches trajectory. “There were two main snipes about the film,” Segerman says today. 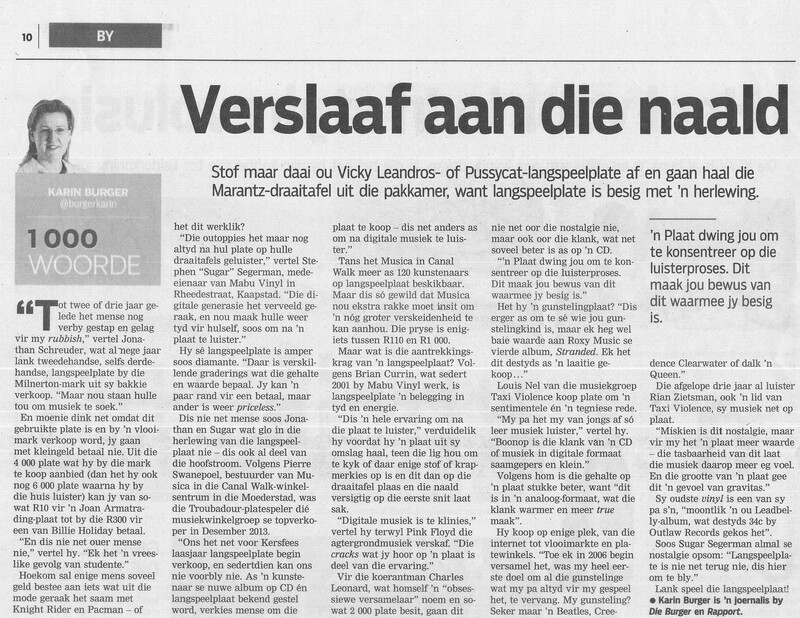 “The first was that Rodriguez wasn’t actually an anti-Apartheid hero – which I never said. The other criticism is about Australia.” Bendjelloul’s documentary left out the fact that Rodriguez was aware that he had a major fan-base in Australia, and had toured there twice in the late 70s and early 80s. Segerman and Craig Bartholomew, the music journalist who also features in the documentary as instrumental in the hunt for Rodriguez, attended the Oscars with Bendjelloul last year. From his wallet, Segerman extracts a piece of card on which he’d jotted down ideas for an acceptance speech for Bendjelloul, since the filmmaker hadn’t prepared anything. “I’m superstitious about preparing speeches – this has been lucky for me,” it begins. There’s a photo in Segerman’s den of the three men tux-ed up, Bendjelloul clutching his statuette, at the prestigious Vanity Fair after-party. Interviewed by the New York Times in May last year as part of a list of ’20 Filmmakers To Watch’, Bendjelloul hinted at the surreal aspects of having made such a successful first film. After the Oscars, Segerman says Bendjelloul was besieged with offers. In fact, for his next major project, Segerman said Bendjelloul had turned again to a South African story. He was working on a screenplay for a feature film inspired by the experiences of conservationist Lawrence Anthony, dubbed ‘the elephant whisperer’ for his work with traumatised elephants. Segerman was last in touch with the filmmaker last Monday, when the two had an email exchange about a legal dispute unfolding between two of Rodriguez’s old record labels. He says Bendjelloul gave no sign at all that anything was emotionally amiss. “You know, through the film… My little record shop became a great little record shop. Rodriguez found his destiny. Malik, I thought, had found his,” Segerman says.